The presidential election is coming, and many Americans might lose the right to vote, says Mark Engler. There’s a saying about elections: “If voting changed anything, they’d make it illegal.” (Emma Goldman). But look at this: in the US, they are now making it illegal. The race for president has been going on for a year, and it is easy to understand that many Americans now want to talk about something else. Any democracy must rely on building up support, not just choosing between two figures supported by business every four years. 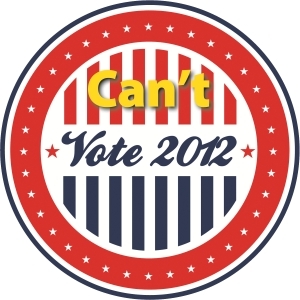 We may see the limits of voting, but we also need to look at the serious campaign against voting. Many Americans may lose this basic right. Generations fought hard to win it. Many Republican-controlled states eg. Pennsylvania, Ohio and Wisconsin have passed new laws about the ID of voters. They say it is to stop “voter fraud”. Voters now need to show government identification, or their vote may not count. It is difficult and expensive to get a driver’s licence or passport, so the people who are least likely to have ID are black, old, young or poor. And all these groups do not usually vote Republican. But “voter fraud” is not even really a problem. Rightwing officials have tried to find evidence of this and failed. In Florida, where the Division of Elections first said that 180,000 voters were not citizens, they found this number was, in reality, only 207. This is only 0.001 per cent of the voters. And in North Carolina, a state with 6.4 million voters, there were only 12 cases of fraud. So the problem of fraud is very very small. But the new laws affect very large numbers of people. In Pennsylvania, as many as 760,000 of the 8.2 million voters do not have ID (more than nine per cent). The solution is worse than the problem. A comedian Jon Stewart said it is like putting hydrochloric acid in your food to make sure any dragon bones dissolve, to stop you choking. There is a wise legal saying (Blackstone’s formulation): “Better for 10 guilty people to escape than for one innocent person to suffer”. Even if voter fraud were a real problem, we would need to find an honest way to solve it; not allow people to lose their vote. But the rightwing are not good at careful, moral thinking. Conservatives are happy to take away people’s rights if those people are black, poor and vote for the other party. We must remember that most people were not allowed to vote for most of US history. Voters had to be owners of property until well into the 19th century. Women only won the right to vote in 1920 – better than Switzerland in 1971, but older people can still remember this and now they might lose this right. And African-Americans had to fight a civil war and suffer a hundred years of beating to win the vote. And this is not only important in elections. We need to fight again for the right to vote. This page was last edited on 12 February 2016, at 12:00.